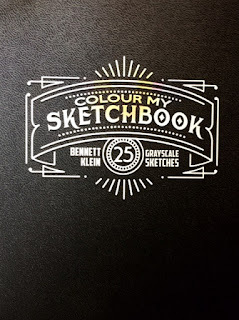 Leave a comment before Friday to be in the drawing for Bennett Klein's Colour My Sketchbook! Thanks everyone for watching my Art Show on Ustream and YouTube! Thank so much for all the knowledge and inspiration you give!!! Happy birthday month!!! Happy Birthday month Dede. Thanks for all your knowledge and creativity. I love watching your streams. Happy Birthday Dede!!! Thanks for everything you do!!! You are so kind and talented. Can't wait to meet you in person one day. Thanks for all you do and all the fun Dede. I learn something every single time. Thanks for sharing your talent with us, love all you do! Happy Birthday MONTH! I absolutely love watching your videos on you tube and ustream!! Your talent is amazing. Happy Birthday!! HAPPY BIRTHDAY month, Dede! Love the streams and thankful for your videos on YouTube, because that is how I found you! Going on year two! Happy birthday!been watching you tube for months an you've cost me 84 neo 2 lol. Cant work out ustream. Happy Birthday, Dede!! I love your videos and try to catch you whenever possible when you are live. Happy Birthday Dede! May you have a very happy one and many more! I love your videos and art work! Happy Birthday Dede! I have watched your videos on You Tube for a couple years. I love, love your personality. It's straight forward, but oh so funny. You really brighten up my day. I mean that sincerely. I have been coloring for a couple years, and truly enjoy it. I am not an artist-I can not draw to save my soul. But, coloring is my passion. You make this hobby of mine,extremely fun and enjoyable. I have learned so very much from you. I hope you have a wonderful Birthday! I am from Hawaii, so I try to catch a little of your U-Stream live. Wish our time difference was closer, but I am thankful you upload to You Tube. Thank you for all the time you put into your passion. And thank you for sharing your skill, happiness and laughter. Happy Birthday month, Dede! Thanks for sharing your creativity. My 6 year old daughter and I watch your shows together. She loves adult coloring books and often says 'light layers' while she's coloring now. Hope you're having a fantastic day, see ya Wednesday! Happy Birthday month Dede! Saw your awesome birthday haul. Can't wait to see you use the copics. I have some tha I have never used correctly, so I shall learn along with you. Love ya! Happy birthday month, have really enjoy learning, thanks for answering my question. my birthday was 1/26. Happy Birthday. I just found your YouTube channel. Enjoyed 2 of your shows today. I really would like to win that book. This is a big stretch for me. See, you've challenged me already. I will see your show again. HAPPY BIRTHDAY MONTH!!! YEA. Thank you for sharing with us all. You're the best! I appreciate you and all that you do to enlighten, enable, and enpower (not a typo - just spelled phonetically - at least for me.) I can't justify purchasing new watercolors but... Bianyo has a 20 Pack Premium Watercolor Brush Pen set for <25. Might have to go for it - Just saying. Thanks for the enabling this morning - again, have a wonderful birthday month. Happy Birthday! I love your videos they give me so much inspiration and your creativity is amazing! Happy birthday, Dede! I have been watching and enjoying your videos on YouTube for several months and have already learned so much! Thank you for sharing your talent and creativity. I love your YouTube shows. I have seen so many other artists mention your name and copy your techniques! You are an inspiration and a caring person. Happy Happy Birthday!! I hope it's the best one yet!! Happy Birthday! I hope it was great! You are such an inspiration. Thank you! Happy Birthday my friend! I hope it was a great day! I just recently found your YouTube channel and have been binge-watching. Love your work! I live in the ATL area, too. Would love to win the Bennett Klein color book, as I have his "Characters" one and love it. I hope you continue to have a happy birthday month! Hope your Birthday was as Great as you are! Enjoy your streams. Have been watching on U-tube lately as I have been working during your streaming hours on Ustream. Happy Birthday!!! I really enjoy watching your videos. Thanks for the opportunity to win something. I like the way you celebrate your birthday by giving something away, what a great idea! Love watching you on YouTube ! I have been so inspired and gotten so many ideas from you. Thank you! And happy birthday month, my grand daughter will be 1 Feb. 12. So it is indeed a great month for a birthday! Happy Birthday Dede hope you had a great day. Thank you so much for all the videos love them all. Hi Dede, thanks for the opportunity to win. I love watching your videos and your live streams. I hope you had a fantastic birthday, Dede! I started watching your videos a few weeks ago and I'm now obsessed with working on journals and other projects while watching and listening to your shows. I love all your organization systems, I've learned a bunch. And also your work is all beautiful. I'm north of Atlanta, it's so cool to find a talented YTer that's local. If I ever get to the point when I've seen all your videos, twice, maybe I'll get some housework done around here. Lol. Thanks for doing what you do! Hi Dede. Happy, happy birthday. Hope you had an awesome day and may you have a fantastic year filled with happiness, good times and success. I love watching your YouTube chanel.... it has such a happy and feelgood vibe! Thank you for sharing your talents, tips and ideas with us. You really are quite inspirational. Thank you! Happy Birthday! Love your channel, I catch you on youtube, learning a lot about adult coloring, keep up the great work. Happy Birthday Dede! Thanks for being such an inspiration to all of us fibs! DEDE THANKS FOR SHARING YOUR TALENT WITH ALL OF US! I hear that laugh in my sleep now. Happy Belated Birthday! Love your videos, keep me learning new things ! Happy Belated Birthday. I have learned so much from watching your videos but the thing that stays on the top of my creativity is "my color book is my color book and I can do what ever I want in it". Happy Birthday Dede! I have learned so much and been enabled by your youtube channel for 7 months or so. I look forward to your weekly uploads and what ideas you have going for the day. Thanks for opening up my artist side that I have let go dormant for too many years, cheers to an awesome 2017! Happy Birthday month! Thank you for sharing a colorbook! Happy birthday month! So glad I found your channel on YouTube. It is such a pleasure watching you create and bring such a positive energy to your show. I love reminding myself when I'm working now that I'm the boss of my coloring book. Thank you for this good advice! Love watching you on YouTube!Love your videos, keep me learning new things Happy Birthday month! Happy Birthday sweet Dede! I am a new follower and I'm still learning how to participate in your upstream live. I appreciate all you share! Bless your heart and thank you! Happy Birthday! I'm still new to your channel and I haven't been able to watch a live stream yet, but I'm enjoying your videos on YouTube! You are so fun and full of energy and it's it helped me stay motivated to keep doing some art! (Though it's really just coloring in books XD) But I'm thinking about trying the altered mixed media books! I think it could be a lot of fun. Thank you for being you Dede! Fancylime hear. just want to say thank you dede for all the great streams, i learn alot from you. hope you have a happy birthday month. Hi DEDE thank you for all the great streams that you provide us. i am learning alot from you. have a happy birthday month. Happy belated birthday. So happy to see you get all the gifts. You so deserve it. So many people get so much from your streams. I know I have learned a tremendous amount from you. Thanks for doing this for us you-tubers! Can't wait to see what you do in your new dragons coloring book. Have a great day. Dede I LOVE watching your YouTube channel. I have learned so much and have had lots of fun in the meantime. Thank you tons! Thanks for the chance to win one of his books! He is such an amazing artist. My name is Skye A.ka Dream In Color on Youtube. Happy birthday dede! You are so awesomely talented! Thank you for sharing it with the world! Happy Birthday and thanks for sharing your awesome art with us !! Dede, my creativity has EXPLODED since I've started watching your videos on youtube. I cannot even tell you. From someone who has never put art in a journal, I now have three different journals going, I am stealing decorative napkins from people's houses like a crazy person, it's insane. I have held out on buying Copics for a while but I know you will be the one to push me over the edge! Thank you for everything you do, and thank you for inspiring me. Have a splendid birthday! Dede, You are the absolute best Teacher and Friend! So happy we share the same Birthday! and love watching your shows! Hi, Dede. I really love your channel and everything you do is so amazing. you have so many creative ideas that I would have never thought of. Happy belated Birthday! Love, love, love your "Art & Coffee In the Morning". I have been coloring for years, but my coloring was flat. I have learned so much from you. I see A LOT of money being spent in my very near future. 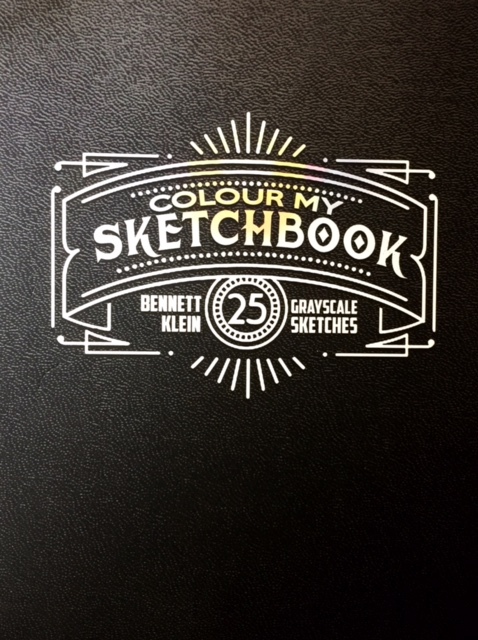 Thank you for the inspiration and techinque.I can't wait to win Bennett Klein's color book! Happy Birthday Dede! Looking forward to watching you use your new supplies. Happy Birthday DeDe! Thanks so much for all your videos. I'm only able to watch you on YouTube because I work full time. You have inspired me to try coloring in my color books by using craft paint and colored pencils. You make me feel creative, which is something I always wanted to be. Hi! Apparently I'm from Mars! I live on the Canadian Prairie... it's -22 Fahrenheit today.. yesterday was -40 with wind chill. So, yes, I'm a Martian for sure! I love your broadcasts and would try to watch U-stream if work/time allowed. Thank you for posting on youtube! !and Happy Birthday Month! Hi,have been watching,and watching and have learned so much and so much more to learn. Love your techniques and can't wait to try them out (after testing, testing and testing first). Happy Birthday Month!!! Hi Dede; Love all your videos! You have inspired me to be creative and be the Boss of My Color Book. wow Dede! Great give away! What a fabulous birthday haul too! Your channel has been a treat ...love your infectious laugh and look forward to so many more of your vids! thanks for all...and wishing you many more Birthdays to come ahead! cheers! Happy Birthday Dede! Thank you for sharing all of your knowledge and talent! Happy birthday Dede! I love watching you stream! Thank you for sharing your advice and laughter! Thank you for everything that you do.. Happy Birthday!! Thanks for all of the coloring inspiration! happy birthday month DeDe! I know that I am probably late for the Bennett Klein give away, but I just wanted to let you know that I am thinking of you, and tell you Happy Birthday Month! A great big HAPPY BIRTHDAY to our dear Dede. We love you & are thankful for all you do! Hey Deeds, just saying that it was really fun getting to be there for your live shows on ustream. I'm back to work now so watching on youtube again, but hope to catch you live sometimes still. Happy Birthday! your friends are so generous because you are so generous with your time and talent. I have learned so much from you and hope to learn more. You are truly blessed. CLOSED, Thanks everyone, see you Monday! I am lost too but I will still wish you a fantastic birthday. Fat hugs around your neck Dede! !